Heading Up mode rotates the display to match your current heading. 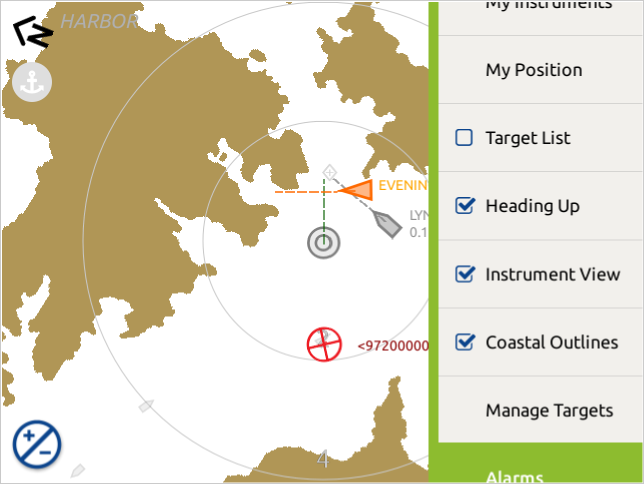 It uses heading if there is a heading/compass sensor on the NMEA 0183 or 2000 network. However, if a source of heading data isn't available, then COG (course over ground) is used. You can toggle between Heading Up and North Up by using the Plotter Menu. The compass indicator in the top left hand corner always points toward north.